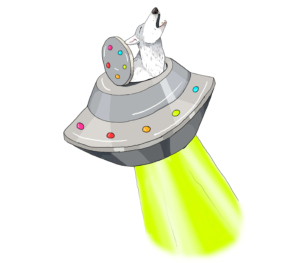 Did you know there are lots of supposed UFO sightings in the Yukon? Is that Yukon transportation? Come and spend the summer learning about Yukon history and engaging our friendly visitors. The Yukon Transportation Museum seeks dynamic individuals to fill the positions of Visitor Experience Host/Interpreter. These positions are for up to a 16 week duration with a start date of mid May and an end date of August 31st. Language of work is English, knowledge of French, German, Japanese would be an asset. Application Deadline: April 15th at 4pm. 2019 is an exciting one for YTM: we are developing new programming materials and interactive offerings, making changes to our exhibit space and continuing to work with our inclusive community focused collections management and exhibit development process. We will be showing our newly restored aircraft and developing new programming and exhibit space for over the summer months. You will assist the museum in engaging its visitors and promoting heritage within the Whitehorse and Yukon community. You will have the opportunity to be part of the Museum and heritage experience as well as assisting in the development of your oral and written interpretative skills, creativity, organisational and time management skills. These skills are transferable and valuable: they can be used in whichever field of study and employment you wish to pursue. Our goals will be met through direct training and supervision. Students will receive hands-on training prior to the museum being open to the public. This will allow you to gain the experience and confidence necessary to perform your job effectively and professionally. The success of the position will be measured through positive feedback from our visitors and through performance appraisals. At the beginning of the work term you will be asked to complete a goal setting form that includes work term as well as personal development goals. Theses will be reviewed periodically as well as at the end of your work term. The Host/Interpreter will greet visitors, interpret museum exhibits/displays and respond to questions and inquiries based on knowledge of Yukon history. In addition they are required to conduct guided tours of the museum for children, students and adult groups; and, safely and engagingly, offering hands-on workshops and behind the scenes tours and experiences. The position also involves Gift Shop Duties which included Admissions, Gift Shop sales, running daily cash reports, as well as general maintenance of the building and grounds. Other duties include ensuring the security of exhibit/displays and Gift Shop area, assisting with the delivery of youth programs and other related tasks as assigned by the Executive Director or Museum Operations Assistant. Host/Interpreters will be given an area of responsibility which meets their interests and skill set and will be expected to complete an individualized project over the work term. This could be a research project, a translation project, developing an interpretive program, working with social media or assisting with marketing, or developing an event. Communication: Listen and ask questions to appreciate and understand the point of view of others; write and speak so that others pay attention and understand. Be Responsible and Adaptable: be accountable for your actions and work independently or as part of a team, be open and respond constructively to change. Teamwork: Be flexible; respect and be open of the thoughts, opinions and contributions of others in the group. Project management: The student and Executive Director will develop one special project which the student will be responsible for. Participate in Projects and Tasks: plan, design or carry out a project or task from the start to finish. 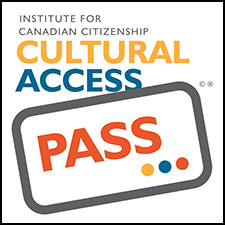 The Visitor Experience Host/Interpreter position involves interpreting museum exhibits/displays based on the knowledge of Yukon history in order to conduct guided tours of the museum as well as working in Admissions and the Gift Shop. The position includes some basic cleaning of the Museum and grounds, security and duties as assigned by the Executive Director. 7. French, Yukon Indigenous language (Tutchone, Inuit, Tlingit, Han, Tahltan, Gwitch’in, Kaska…), Japanese or German as a second language would be an asset. 8. Proficient with computer use and Word. Proficiency in Excel and/or InDesign is an asset but is not necessary. 9. Experience using cash registers, handling money. 11. Candidates must be students returning to school in the fall who are between the ages of 18 and 30. Related studies: Tourism, Museum Studies, Theatre, Arts, Geography, History, Anthropology, Marketing, Business, Communications, Physics, Mechanical trades, Engineering. The Yukon Transportation Museum is committed to hiring woman, persons with disabilities, visible minorities and Aboriginals. The start date for the three positions is May 1st, 2019 at the Yukon Transportation Museum, located at 30 Electra Crescent, Whitehorse, Yukon. The deadline for applications is April 15th, 2019. 3) Describe an item in your house and make us interested about it (max 200 words).